This is a 5 x 7 fan photo of Bob, a darn good portrait. Got it just recently, had to wait forever for it to get down to a reasonable price. The vendor insisted it was a "signed" photograph. No way!! We can't even be sure it was Bob that wrote the original template, could've been a secretary even. 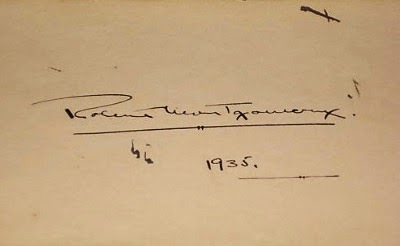 What is known is that this signature was used on several of Bob's early fan photos. It's a darn good chance that Bob never handled this photograph. No possible thumbprint or actual DNA!! Just a great picture. 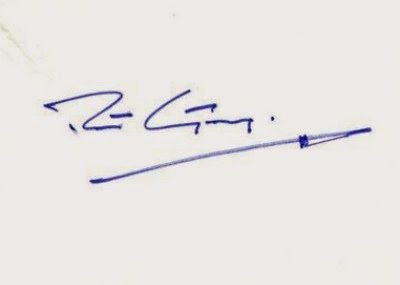 Bob developed a unique and nifty autograph. There's those interesting g's and y's. Underlined with two hash marks. And, in many cases, a period after his name. Bob touched these pieces of paper. I Love this photo of Bob ... to the point of having several copies, all just a tad different. The first is an obvious original, has the MGM ID number, MG 29353, and deterioration, unfortunately. The second one is another 8 x 10, but without the number. It's also on double-weight paper which perhaps explains its better condition. Also note, the image is closer cropped. The third is a 5 x 7 fan club photo, with the bottom cropped even more. And, of course, there's that fan club signature stamp ... "Sincerely yours" ... makes me want to cringe. And now for something entirely different ... Hey, he's looking away from the camera and his hand is on the bar, a world of difference! It is, of course, a reprint. From an original negative, perhaps? Whatever, he's just gorgeous. 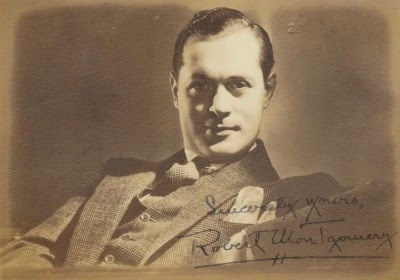 When I began spending good chunks of my day on the computer reading about movies and stars of the 30s and 40s, I ran across a website that sparked my interest in Mr. Montgomery. I mean, I knew who he was and have always been fascinated by him, but this website provided the framework for my pursuit of everything Bob. 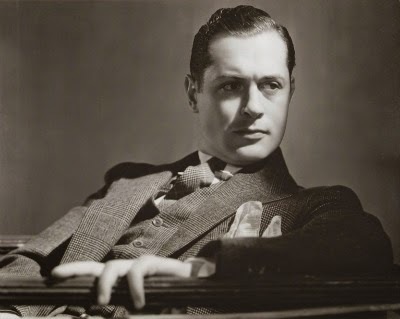 The Earl of Hollywood was set up by R. E. Lee, and is an absolute treasure. Or should I say was ... last week I tried to pull it up to verify a Bob factoid, and The Earl was missing, not there, kaput. Those darn fates screwing things up for me once again! Drats! I shared my sad discovery with Carrie who, as is often the case, saved my day. She introduced me to the Internet Archive Wayback Machine, which enables one to access the archived version of the site. 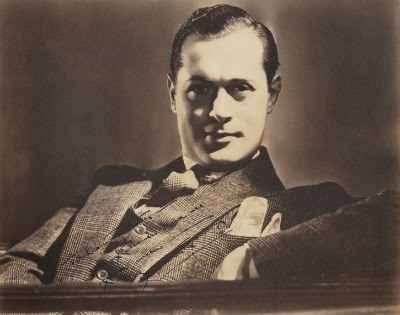 (Go to https://archive.org/web/ and search for earlofhollywood.com.) Thank goodness. And my sincerest thanks to Mr. Lee for his efforts to set up such a great site. 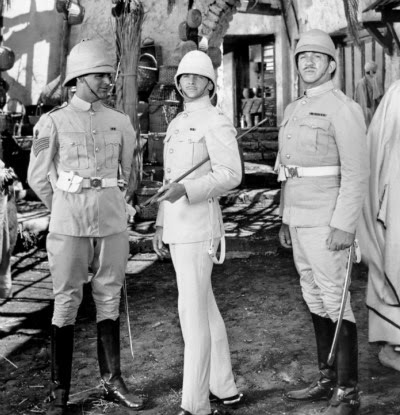 In 1936 Howard Hawks, then at RKO, tried to make Gunga Din. 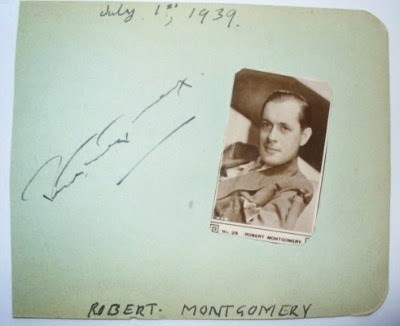 MGM agreed to loan out Robert Montgomery and Spencer Tracy to play two of the three soldiers, but they would not agree to loaning out Clark Gable to be the third lead. 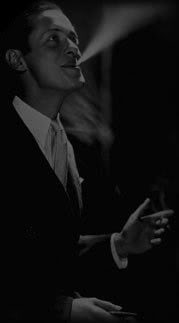 The project was shelved and eventually made in 1939 by George Stevens, with stars Cary Grant, Douglas Fairbanks and Victor McLaglen. If you're wondering which role Bob would have had, the picture below should be a good clue. Wally: "Ah, come on and say yes, it saves a lot of time." Babs: "Yeah, well I'm no present." 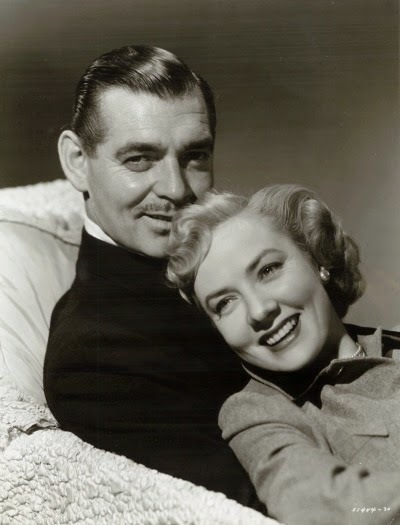 Audrey Totter and the Fourth "Boy"
In my post of October 7th, I discussed Audrey and her co-stars, Roberts Montgomery and Taylor and Ray Milland, and ended it with the goal of finding a photo of Audrey and the fourth of her series of mature stars, Clark Gable. As it turns out, it was a very simple search. 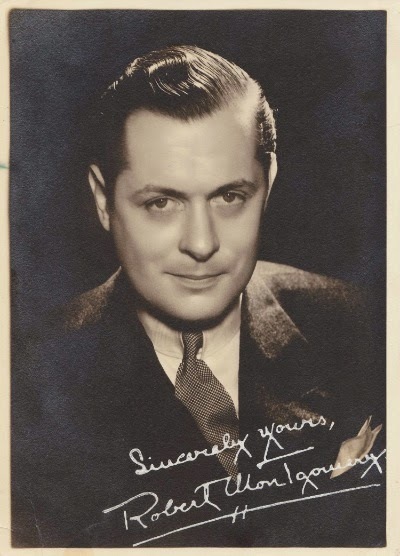 All I had to do was open an e-mail from John McElwee of Greenbriar Picture Shows and there were the photos shown below --- two great publicity stills for Any Number Can Play (1949). I particularly like the 2nd one ... how often do you get to see Audrey smiling?! Thanks again, John, for sharing. 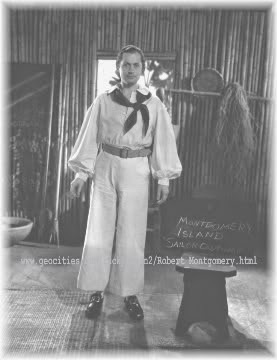 Did Bob Mutiny? Or Did Thalberg Make Him Walk the Plank? 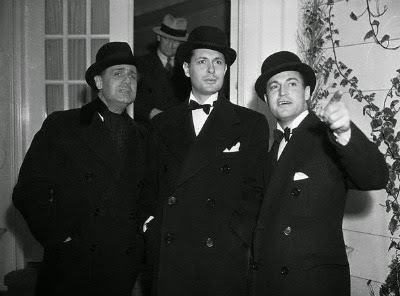 Books on the golden age of movies, for the most part, should be categorized as fiction. It is quite understandable considering that studio publicity departments and the fan magazines existed to create a fantasy world where the men were all gallant and trustworthy and the women chaste and happy homemakers at heart. Stars were valuable commodities for the studios, their images carefully crafted and highly protected. There are times when I wish that was still the case. We know way too much about today's stars. Actors are simply different than the rest of us, it's part of what makes them good at what they do. It does not, however, necessarily make them interesting or likeable. Oh, where was Eddie Mannix when Jane Fonda went to North Vietnam and palled around with the enemy?! That should never have been made public ... my dislike of Fonda has made it so very difficult to enjoy the good movies in which she has appeared. Anyway, getting way off the track here .... writing Tuesday's entry, I was reminded of the numerous versions of why Bob did not appear in Mutiny on the Bounty. You would think there would be a straightforward explanation available for something so basic. Nah. Let's see, there's the somewhat common story of Bob getting sick and having to drop out of the project. And there's the one I accepted for a while as the most plausible, wherein Bob decides he wants out of the movie because his role would be too secondary to Gable's. Made sense. 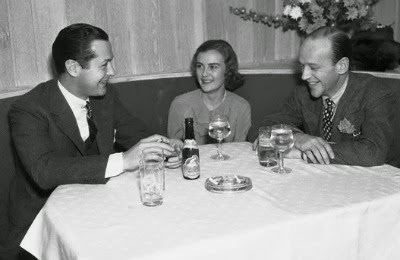 A third version is from a 1953 interview with Bob, mentioned in Mark Viera's biography of Irving Thalberg. According to Bob, he had requested a vacation between No More Ladies and Mutiny and refused to work. 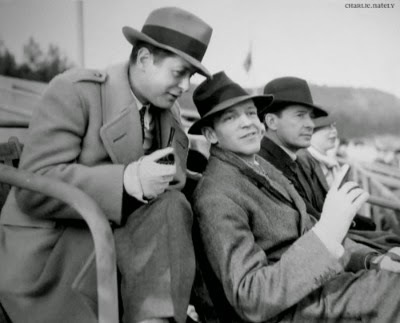 Thalberg denied him the vacation and used the work refusal as an excuse to replace Bob in the movie with Franchot Tone. Now that makes more sense. 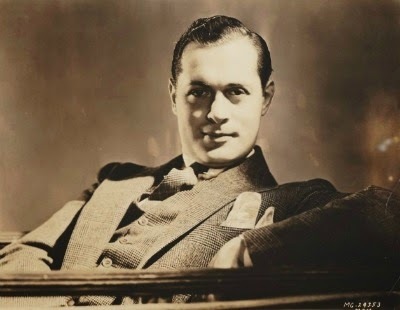 As it turned out, Bob would be away from the studio from May, 1935 to January 20, 1936 when filming of Petticoat Fever began. Now that's a good vacation. 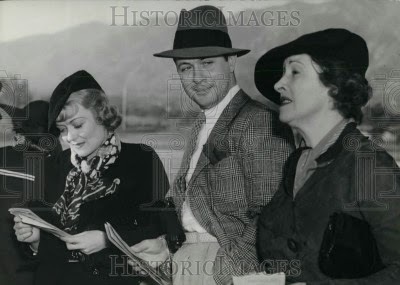 Feb. 10 - Playing the ponies with Constance Bennett & Ria Gable (Clark's #2) at Santa Anita. P.P.S. Don't you wonder what Betty did for fun? 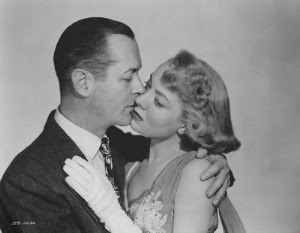 Audrey Totter specialized in tough-talking dames in the late 1940s. She was quite good at it and paired off very well with a number of, errrr...., mature leading actors. 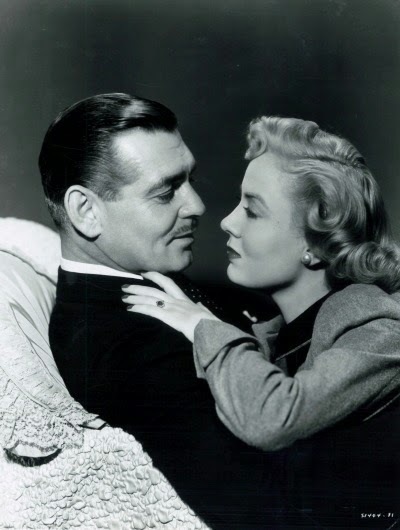 In 1947-49, she made three movies in a row with favorite actors of this blog. 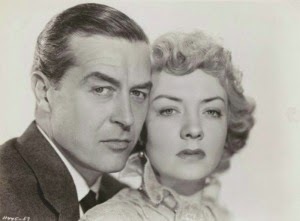 She was in The Saxon Charm (1948) with our Bob. I have used the photo of the two before ... it's worth a repeat. They make a handsome couple. In 1949, she co-starred with Ray Milland in Alias Nick Beal. Now, to complete the cycle, I recently ran across this photo for High Wall (1947) in which psychiatrist Audrey tries to prove a brain-damaged Robert Taylor did not murder his wife. I am guessing she was successful.